I chose this promotion piece because it stuck out to me compared to the others I saw. 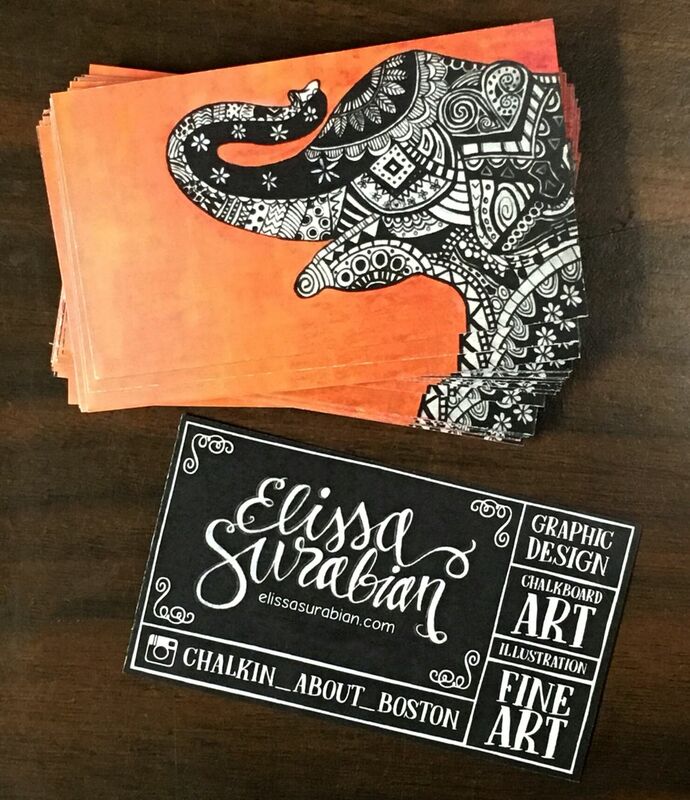 The front of the business card really captures her use of typography in chalk art. While the back, shows more of her more detailed work, with a bright orange background, which really stands out. Love this self promotion design. Very eye catching and intriguing!